Are you dedicated to creating wonderful art? If so you are really in for a treat! 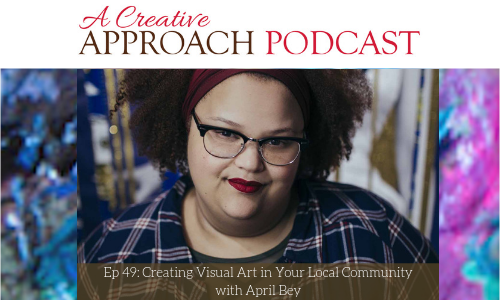 Today’s guest is April Bey, an exciting visual artist, and teacher. April teaches art at a community college in California. She loves drawing and using her art to explore contemporary themes about current events. In today’s episode, April talks to us about her life, her studies, her art, and her career. Tune in now to find out more. April grew up in the Bahamas, and for all her life she’s been passionately creating. Art is a very prominent subject in schools in the Bahamas, yet April realized during high school that there were no careers in art to be had there. So she moved to the United States. She did her undergrad in the Midwest, obtaining a BFA in drawing from Ball State University. She then went to LA, to do her master’s in interdisciplinary painting at California State University in Northridge, Los Angeles. 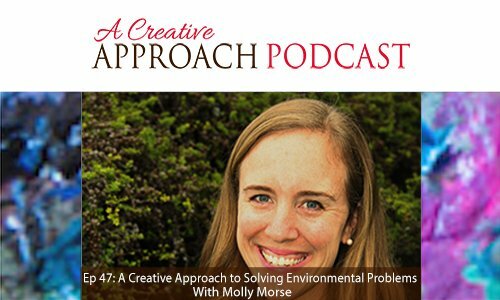 Listen in today, to find out about April’s creative approach to her art and teaching. At the moment, April is doing a lot of sewing that’s acting as drawing. April’s textile works also act as portraits. You can go to April’s website to take a look at her awesome art. Go to April Bey. What you can expect to find on April’s website. Are you looking for some inspiration? If so, you will really enjoy listening to the interview with our guest for today, the very creative and naturally talented artist, Mou Saha. Mou was born and raised in India. She is an unassuming teacher with a bold spirit of exploration and she uses her mindful approach art to really inspire people to experiment with art media and color. Listen in today, to find out about what Mou, what she does, and how she got to do what she’s doing. Mou, a mixed-media artist, and a storyteller is an intelligent and very courageous woman. Her passionate and straightforward manner is reflected in the easy and pleasurable expression of her work. Despite the number of setbacks and complications she’s experienced in her life, she has produced some really meaningful work. 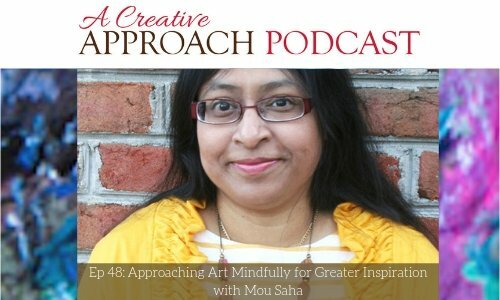 Listen in to find out more about Mou’s really creative approach to life. The way that Mou’s art classes have evolved over time. Mou’s work has been published in a number of different publications. What inspired Mou to start teaching. Faber Castell launched a new brand for the crafting community and they reached out to Mou to do some projects for their launch. After seeing her work, they asked her to join the design team they were putting together. Mou, as a child, really loved to draw- and she would draw everything! Mou was an only child and her really artful family treated as a small adult. This really inspired her! Although Mou was not very good at drawing accurately as a child, she used her drawing to express herself. She won a competition due to this. In sixth grade, Mou was awarded a national scholarship for drawing. And after receiving the scholarship, she began to take her art more seriously. Mou was already interested in doing counseling and psychology in the eighth grade, so she found out what she needed to do in order to do that. How Mou discovered that she could move beyond what her parents had taught her about what was safe, and about what she could and could not do. Everything came full circle for Mou when she moved to Tampa, Florida, after getting married. Mou almost lost everything about herself in the process of coming to America, and she felt really lost. How taking a course really helped her to gain a real perspective. How Mou coped with the devastating discovery of a lump in her breast. How winning the grand prize for a scrapbooking competition really helped Mou. Teaching people about what really matters with art. You will receive a free gift from Mou for signing up for her newsletter. Creating the time to do something for yourself that you really love to do. Ginger Wiseman is one of the co-hosts (with her sister) Summer Reynolds, of The Outlander Podcast. 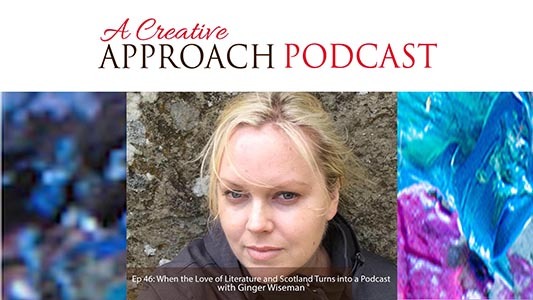 She has a great story of how her love of the books and then the series, and a passion for Scotland, led them to create a podcast for fans. 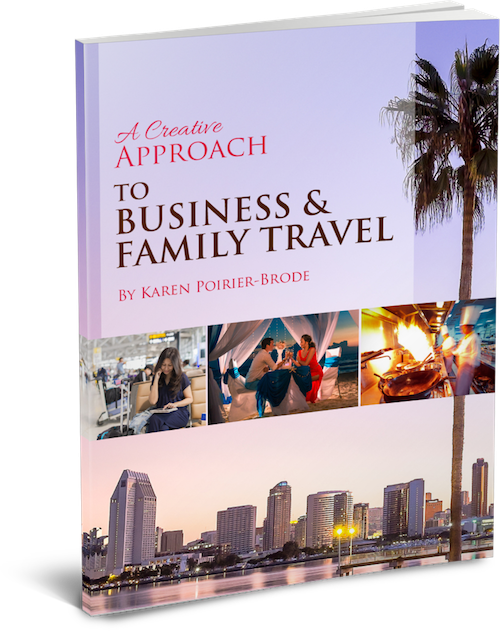 I always have a great deal of fun learning about how my guests found their creative niche. Today is no exception. ● We learn about Ginger’s story and what got her and her sister, Summer into hosting two podcasts. ● How the two sisters connected over literature through the years and how that strengthened their love of the written word in multiple languages. ● She discusses her love of the Outlander series and the events that led to the creation of their fandom podcast. ● Ginger shared what led her and her sister to create The All Souls Podcast and how that helped them broaden their horizons with fans, friends, and travel. ● She shares how she was able to get involved with ComicCon working in press and the benefits that have helped her grow her shows and gain more visibility. ● Ginger shared more about The All Souls Con event and that she follows the book releases and shows coming out with the international networks. ● The sisters planned for the long haul as the main character had not yet been cast. ● Ginger shares how she was able to plan out the podcast episodes in alignment with the books and episodes for content. ● She noticed early on that there was a random invitation to join for an after-show. She felt that guests found more value when they did a live video in their private FB group after-show right after the episode ends. ● Having a sponsor never changed their content, schedule or format. 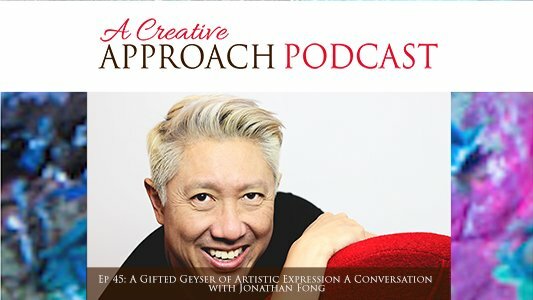 ● She felt empowered to have a podcast through her exploration of what other podcast hosts were offering and her love of the dramatic arts growing up. ● She shares her journey with her sister to Scotland and how they created a group experience trip they do yearly.